Save 5 or 10% of your monthly income in a savings account which you don’t touch. It will be very helpful for emergencies or a rainy day when you are between jobs. Save another 5 or 10% of your monthly income for big surprise expenses such as car repairs, tires, medical and dental expenses. Ask yourself whether you need a sale item or just want it impulsively. If you just want it impulsively then don’t buy it and if you need it then check an online price for a possible considerable discount if it is 50 dollars or more. Use a debit card or cash to make your purchases, that way you will not exceed your monthly budget amount from the get-go. Set aside cash money for a taxi or car service or bring along a designated driver if you go out drinking heavily because you should never be driving home yourself in a severely drunk condition. If you have commission earnings and not an hourly wage then use a calculator to find out how much you earn per hour and then ask yourself is an impulse buy worth buying based on the hours that you have to work to get it. Make your own iced coffee in a thermos and make some sandwiches to eat at the job instead of buying coffee and food in fast food places or expensive places like Starbucks. When you eat something delicious in a restaurant then try to find a recipe online and try to duplicate the meal at home for a fraction of the restaurant price. Learn how to prepare food at home for dinner, especially from raw natural organic food or ingredients. A healthy varied meal may be the only meal you need to eat all day if you have a sedentary job. Shop for generic drugs and food with the same basic ingredients as the brand name ones. If you are going to similar places with friends try to share a ride instead of going there alone to save gas money. If you want to buy something special then do it at the beginning of the month so you don’t exceed your monthly debit card budget. If you love certain brands and don’t want to buy generic then go to outlet stores once in a season to purchase them. Always buy generic cosmetics, toiletries, and small household needs at the dollar store at a fraction of the price of brand name products. Do most of your entertainment online, especially for music, movies, TV, social media, and dating. Use your smart phone to text and for mobile entertainment. 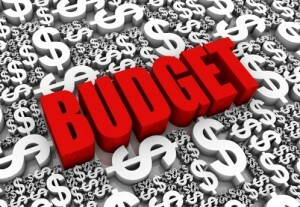 Don’t be afraid to say no to expensive entertainment, events, trips, or things which will impact your budget negatively. Always talk about and consider the money aspect of everything which you do and make wise choices which is frequently saying no or postponing it to a later date. This entry was posted in common sense, education, money, science, society and tagged budget, common sense, education, money, money decisions, money management, monthly budget, saving, science, society, spending, truth on October 17, 2013 by uldissprogis.